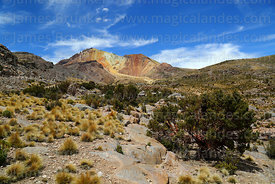 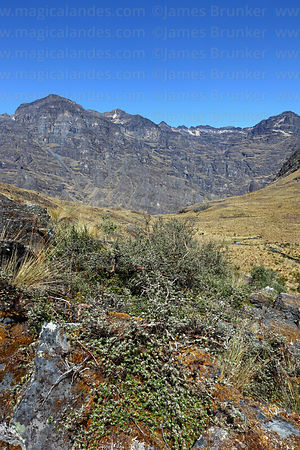 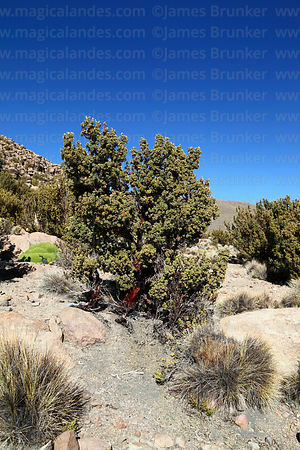 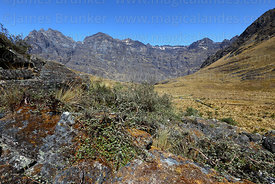 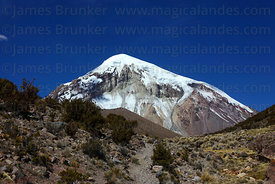 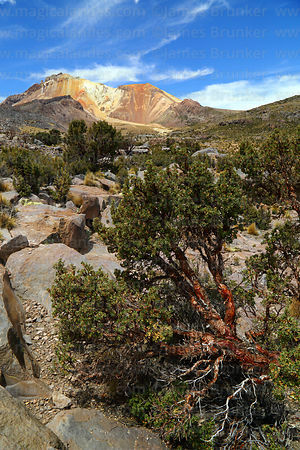 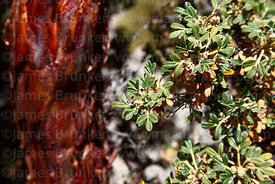 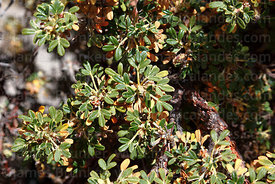 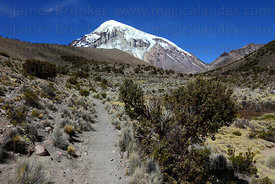 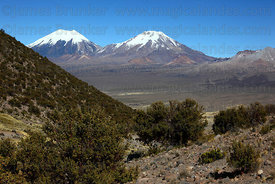 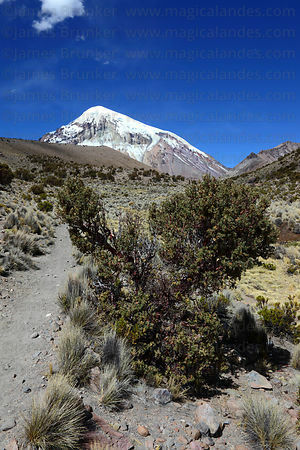 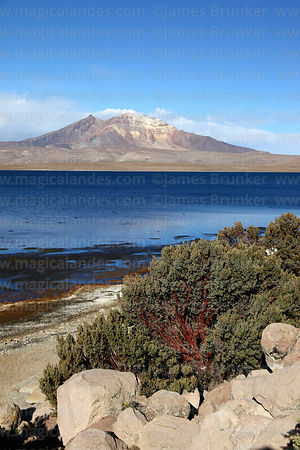 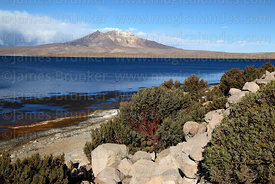 Polylepis is a genus comprising twenty eight recognised shrub and tree species that are endemic to the mid and high altitude regions of the tropical Andes. 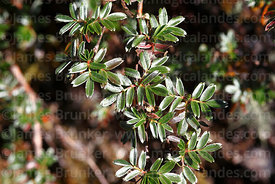 They belong to the rose family, Rosaceae; uniquely in that family they are mainly wind-pollinated. 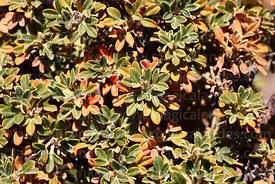 They are usually gnarled in shape and have evergreen foliage with small, dense leaves. 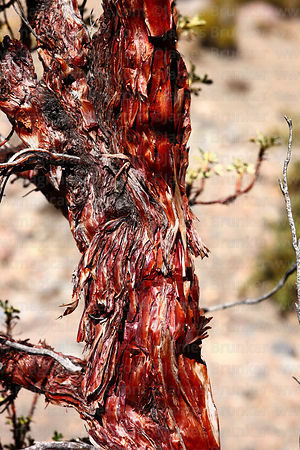 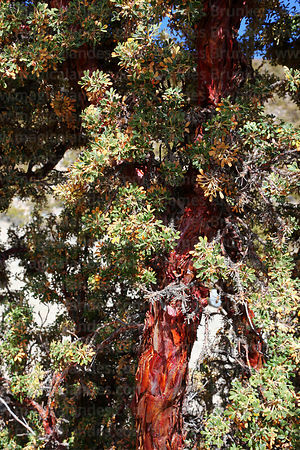 The name Polylepis is derived from the Greek words poly (many) plus letis (layers), referring to the peeling, multi-layered bark that is common to the genus. 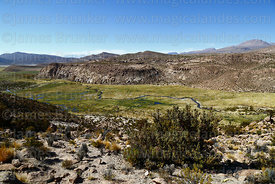 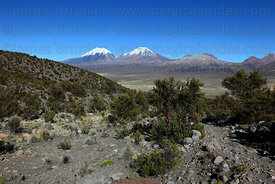 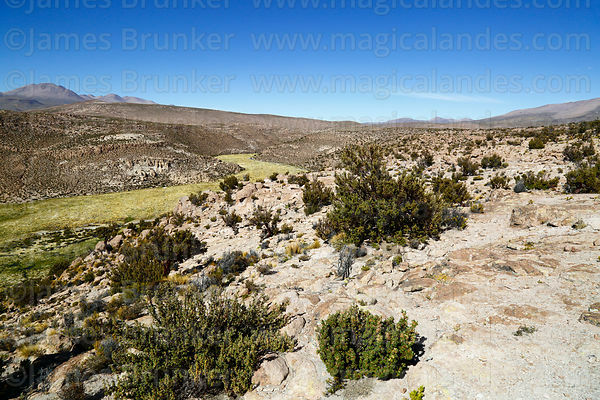 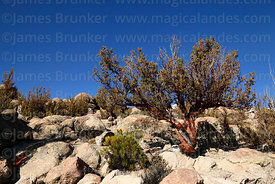 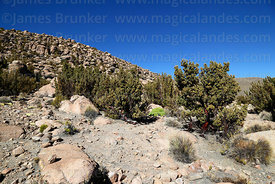 Some species of Polylepis form woodlands growing well above normal tree lines at elevations over 5000 m, making them the highest naturally occurring trees in the world.